South Side Church of Christ traces her roots back to the New Testament. With the preaching of the first Gospel sermon on the Day of Pentecost (Acts 2) the church began. On that day, three thousand souls were immersed into Christ for the forgiveness of sins and the gift of the Holy Spirit (Acts 2:38) and the Lord added them to the number of disciples. Locally, though, South Side began with an organizational meeting on April 20, 1923. Click here to read the minutes from that first meeting. For a number of years, an afternoon Bible School was con­ducted in South Danville, first in a hall at Fourth and Main Streets and later, on the second floor of Jamison Grocery at First and South Main. This school was favored at times, with the service of S.S. Jones, veteran preacher and church builder of Danville, H.O. Wilson and other preachers of the Third Church of Christ. Bible School Superintendents rendering efficient service in the work there were A.L. Stewart, Albert Teeters, J. Middleton and O.J. Thomas. On April 20, 1923, fifteen Christians held a special meeting and formed themselves into a free Church of Christ, taking the name of the “South Side Church of Christ”. On this date also, the first official Church Board was appoin­ted; those members being: ELDERS – Chairman, Albert Teeters, Loyal Jones, O.J. Thomas, Cal Jamison DEACONS – Levi Roberts, Frank Bailey, Otto Wilson, Dan Jamison, Frank Day, Ed Jones. In April, 1924, H.O. Wilson, with the assistance of C.G. Munn, held the first evangelistic meeting, at which there were a number of additions. At the close of the meeting, C.G. Munn was called as the first official minister,Membership increased steadily in his ministry to 150. 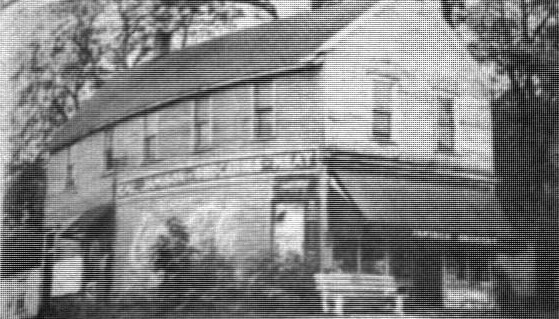 Our first move, May, 1924, was the purchase of a lot, 75 feet by 56 feet, on First and Main, at a cost of $350. The funds were raised in such a short time, we were encour­aged to think intently on the erection of a building suitable to the needs of our congregation and community. A Building Committee was appointed on March 29, 1925. Their report was so favorable that at a called meeting of the congregation on May 13, plans were adopted and building operations begun. On June 24, 1925 a Ground Breaking Ceremony for the new building was led by C.G. Munn, Minister. In a special service on August 23, 1925, the cornerstone was laid and during the months that followed many members put forth great exertions and gradually the wonderful dream church building took shape, until at the close of 1925, the building was almost complete. Finally, on January 17, 1926, the building that was a dream vision of faithful hearts that labored and waited, hoped and prayed, came true. The building, constructed of chocolate-colored corrugated face brick and tile, measured 36 feet by 50 feet on the interior, with the auditorium reportedly seating 300. Membership grew from 15 Charter Members in April 1923 to a membership of 150 by January 1, 1926. Once again a decision was made to purchase a new lot and build a larger building. The church building on First and Main was officially sold on December 29, 1959 for $20,000. Sometime between the latter part of April and the first part of May, 1959, a lot at Fifth and Forrest Streets was purchased. The cornerstone for the new structure was placed in late 1960. 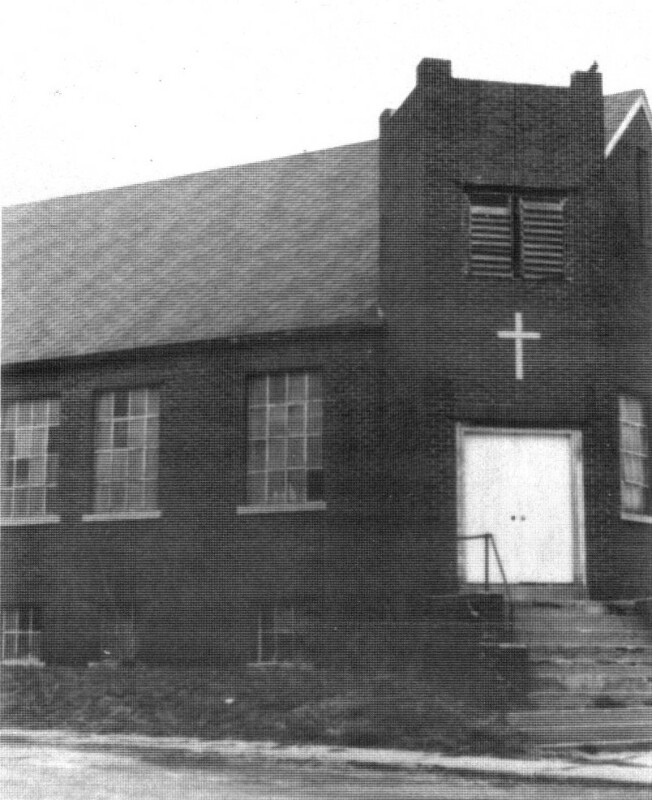 Near as reports inform us, the move into our current church building was accomplished in mid-Spring 1961. Original plans reported only to have Sanctuary, Cry Room (intended for nursery), Library and restrooms. Our first addition to that included front hallway, having three classrooms, Minister’s Office and Print Room. 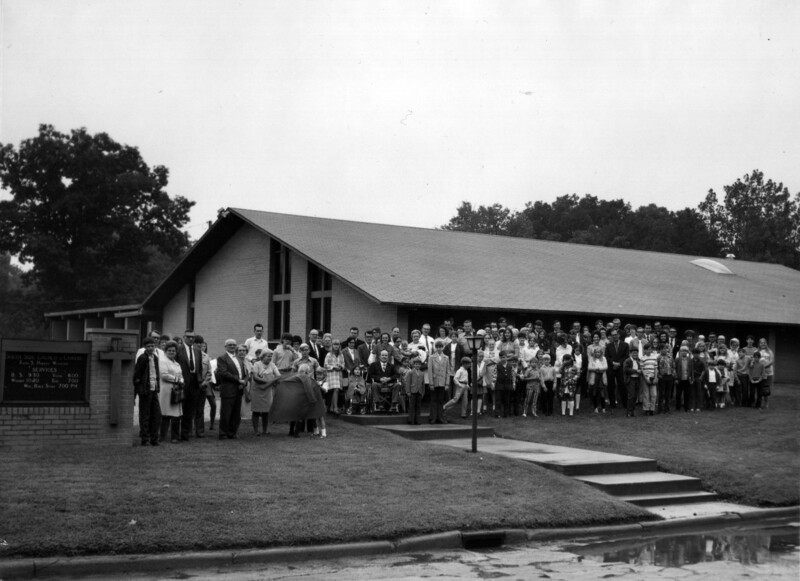 The first service in our new building was conducted in the spring of 1961. The building consisted of our sanctuary, library, class/cry room, vestibule, restrooms, hallway, office, nursery, kitchen and four classrooms. These classrooms were separated by accordion folding panels which when opened, transformed into a moderate fellowship hall. A $75,000 project was approved by the con­gregation in 1975. Remodeling and redistributing old facilities, we also added our present fellowshiphall and adjacent classrooms as well as relocating larger restrooms. Dedication services for the new structure, in memory of brothers Dale Coleman,Elder, and Paul Bennett, Minister, were held in early 1976 with Tom Thurman delivering the message. Copied and adapted from the bulletin of the May 22, 1988, Homecoming Service and the 1989 Pictorial Directory. Click here for a list of evangelists who have preached at South Side.